If you follow me on Instagram (@Tiff.Kent) you know that I’m obsessed with baking seasonal goodies. 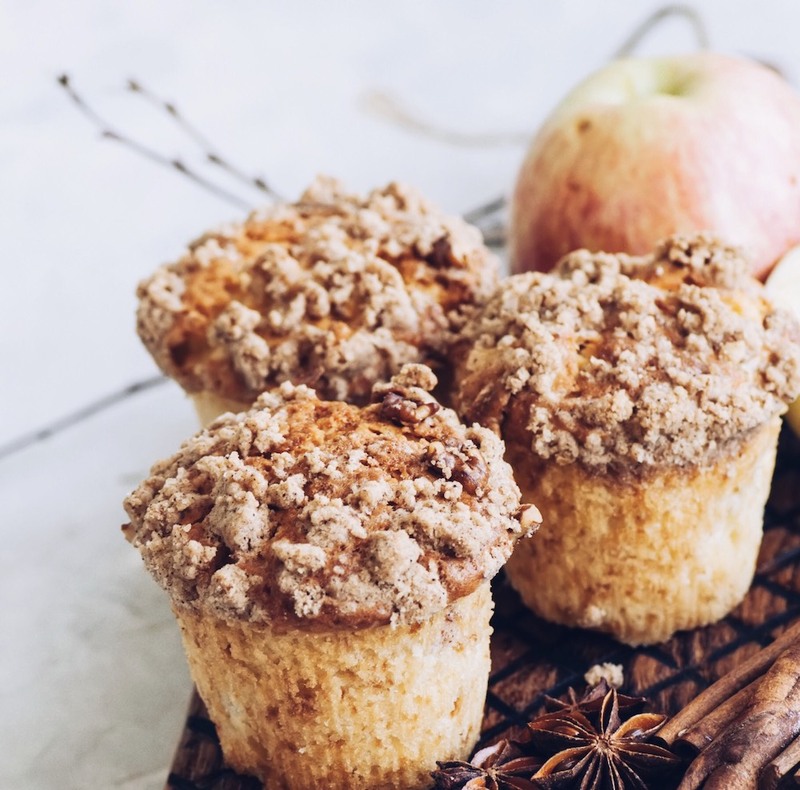 These muffins are my current go-to for a breakfast treat…or a dessert! I use a mix of seasonal apples—Honeycrisp, Gala, Braeburn, and Fuji to get the perfect blend of apple flavors. I’ll admit, these apples are quite decadent, but they’re sure to be a crowd favorite! *This recipe is sponsored by Standard TV & Appliance—a fixture in Portland since 1947, offering the best selection of kitchen appliances (and so much more!). In a mixing bowl, combine the flour, baking powder, baking soda, ½ tsp. ground cinnamon, and salt. In another bowl, combine the softened (but not melted) butter and sugar. Cream the two together, then add in eggs one at a time. Mix in 1 tsp. vanilla extract and maple extract. Stir the chopped apples into the mixture. Slowly, ½ cup at a time, combine the dry ingredients into the wet mixture until a thick batter forms. Spoon the mixture into a prepared muffin pan (or mini loaf pans). In a small bowl, combine the “Crumble Topping” ingredients together until a coarse mixture forms. Spoon a bit over each muffin cup. Bake for 20-22 minutes, until a toothpick inserted comes out clean. Allow to cool for 3-5 minutes before removing each muffin from the pan, and cool on a wire rack or clean dry surface. For the ultimate treat, drizzle caramel sauce over the top of your muffin – or enjoy with your favorite cup of coffee, tea, or mulled cider!